What a semester! What’s up next? Is it just us, or was fall semester a whirlwind? The Office of Scholarly Communication Services was steeped in a steady flurry of activity, and suddenly it’s December! We wanted to take a moment to highlight what we’ve been up to since August, and give you a preview of what’s ahead for spring. We did the math on our affordable course content pilot program, which ran for academic year 2017-2018 and Fall 2018. This pilot supported just over 40 courses and 2400 students, and is estimated to have yielded approximately $200,000 in student savings. We’ll be working with campus on next steps for helping students save money. If you have questions about how to make your class more affordable, you can check out our site or e-mail us. We dug deep into scholarly publishing skills with graduate students and early career researchers during our professional development workshop series. We engaged learners in issues like copyright and their dissertations, moving from dissertation to first book, and managing and maximizing scholarly impact. Publishing often isn’t complete without sharing one’s data, so we helped researchers understand how to navigate research data copyright and licensing issues at #FSCI2018. We helped instructors and scholars publish open educational resources and digital books with PressbooksEDU on our new open books hub. On behalf of the UC’s Council of University Librarians, we chaired and hosted the Choosing Pathways to OA working forum. The forum brought together approximately 125 representatives of libraries, consortia, and author communities throughout North America to develop personalized action plans for how we can all transition funds away from subscriptions and toward sustainable open access publishing. We will be reporting on forum outcomes in 2019. In the meantime, one immediate result was the formation of a working group to support scholarly society journal publishers in flipping their journals from closed access to open access. Stay tuned for an announcement in January. We developed a novel literacies workflow for text data mining researchers. Text mining allows researchers to use automated techniques to glean trends and information from large volumes of unstructured textual sources. Researchers often perceive legal stumbling blocks to conducting this type of research, since some of the content is protected by copyright or other use restrictions. In Fall 2018, we began training the UC Berkeley community on how to navigate these challenges so that they can confidently undertake this important research. We’ll have a lot more to say about our work on this soon! Next semester, we’re continuing all of these efforts with a variety of scholarly publishing workshops. We invite you to check out: Copyright & Fair Use for Digital Projects, Text Data Mining & Publishing: Legal Literacies, Copyright for Wikipedia Editing, and more. We would like to thank Arcadia, a charitable fund of Lisbet Rausing and Peter Baldwin, for their generous support in helping to make the work of the Office of Scholarly Communication Services possible. Lastly, we’d like to thank all of you for your engagement and support this semester! Please let us know how else we can serve you. In the meantime, we wish you a Happy New Year! Running another installment of our popular Pressbooks workshop to showcase how our openbooks.berkeley.edu publishing platform can be used to create your own textbook or digital project. Hosting a series of publishing workshops for graduate students, featuring sessions about copyright and your dissertation, revising your dissertation and navigating the publication process for your first book, and maximizing the impact of your scholarship. Hosting the Choosing Pathways to OA forum on behalf of the UC Libraries, in which library and consortia leaders and key academic stakeholders representing 80+ institutions, 27 states, and 4 Canadian provinces, will come together to work on action plans to advance a large-scale transition to Open Access. Understand copyright basics and what they mean when you’re in the classroom, putting material on bCourses, filing your thesis or dissertation, publishing an article or book, or doing text or data mining. This piece is cross-posted on the University of California Office of Scholarly Communication blog. On June 21, the University of California’s Systemwide Library and Scholarly Information Advisory Committee (SLASIAC) issued a Call to Action in which they announced their intent to embark on a new phase of activity in journal negotiations focused on open access (OA) to research. The Call to Action appeared alongside discussion of another recently-released University of California document, the Declaration of Rights and Principles to Transform Scholarly Communication, put forth by our system-wide faculty senate library committee (UCOLASC) and intended to guide our libraries toward OA when negotiating with publishers. There are twin challenges underlying SLASIAC’s Call to Action, and UCOLASC’s Declaration of Rights and Principles: On the one hand, determining how to maintain subscriptions to scholarly journals in a context of escalating subscription costs and shrinking collections budgets, and on the other, pursuing the moral imperative of achieving a truly open scholarly communication system in which the UC’s vast research output is available and accessible to the world. The UC libraries have been working to address these dual needs, and we wish to highlight here some of the efforts our libraries have undertaken in this regard — particularly those in which we are working in concert. In February 2018, through the release of the Pathways to Open Access toolkit (“Pathways”), UC Libraries identified and analyzed the panoply of possible strategies for directing funds away from paywalled subscription models and toward OA publishing. Pathways takes an impartial approach to analyzing the menu of strategies in order to help each individual campus evaluate which option(s) best serve their goals as they work to shift funds away from subscriptions. It also considers implications for cooperative investment in the various strategies it sets forth. We have already announced intentions to pursue at least one collaborative experiment: to undertake a limited number of offsetting pilots—a transitional strategy to OA that caps institutional spending on a publisher’s subscription package while centrally administering and subsidizing the cost of hybrid article processing charges against a total agreed-upon spend—such that the net effect transitions spending away from subscriptions and toward OA article publication, without higher institutional costs. Notably, the University of California libraries are aligned around common goals and approaches to achieving a transition to Open Access, but also are responsive to campus-specific needs and priorities. No matter which individual strategies our campuses pursue, we remain committed to the shared goal of collectively redirecting our funds away from subscriptions and toward open access publishing. The University of California is not alone in the choices it faces with respect to accelerating a transition to open access. In ways both similar to and distinct from what we are experiencing, institutions and scholarly communities around the world are wrestling with their own questions and options as they envision what their pathways to OA might entail. North America has a particularly crucial role to play in the worldwide transition effort, given the size of its publishing output and amount of subscription revenue that it contributes. We do not believe any single actionable OA strategy would suit all North American institutions, let alone all author communities. Instead, we hope to leverage the Pathways toolkit to help authors, research libraries, and organizations make their own choices based on their own communities’ needs. In acknowledgment of both the great potential for collaborative transformation, and the great divergence of perspectives and requirements for achieving such a transformation, the University of California Libraries are organizing a working forum to provide a dedicated time and space for North American library leaders and key academic stakeholders to use Pathways as a foundation to discuss and design what their own next steps toward open access might look like. October’s working forum, aptly titled Choosing Pathways to Open Access, will be based on a design thinking model to cultivate discourse and a solutions-based approach. The goal is to facilitate participants’ abilities to understand and assess which OA strategies might be appropriate for repurposing spends at their own institutions, to engage participants in exploring insights shared by others about the implications of implementing those strategies, and to support participants in outlining or developing their own action plans for their institution or author community. The forum, free of charge to attend, will not include presentations in the traditional sense, but instead will engage facilitators to help guide discussions on given OA publishing strategies. This overall information-sharing and discussion-centered format strives to achieve a balance between deeper engagement with OA strategies and meaningful opportunities to determine next steps—including through alignment or partnership with similarly-interested institutions or communities. Choosing Pathways to OA aims to give voice to strategies within all OA approaches, with the understanding that each institution or author group might wish to support a range of strategies and approaches as appropriate for their communities and in alignment with their respective goals. 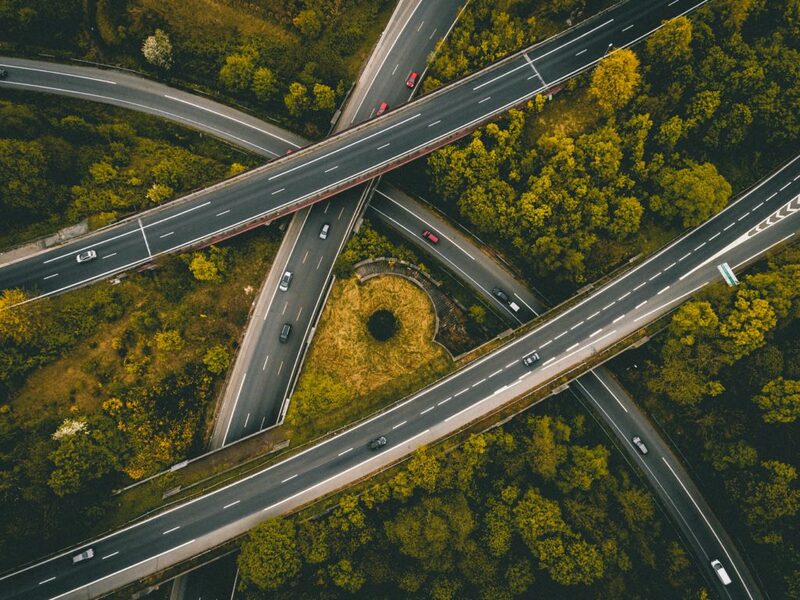 While institutions and communities may settle on different investment strategies, the reflection and decision-making process are both crucial and timely. The announcement speaks to work that the University of California’s Systemwide Library and Scholarly Information Advisory Committee (SLASIAC) has been doing in partnership with our university libraries and the systemwide academic senate’s Committee on Library and Scholarly Communication (UCOLASC). These groups have been considering the twin challenges of journal affordability and what they recognize as the moral imperative of achieving a truly open scholarly communication system. Please feel free to e-mail schol-comm@berkeley.edu with any questions. The workshop is open to all students, faculty, and staff. Feel free to come with a project idea in mind, and please bring a laptop if possible. On February 20, the Office of Scholarly Communication Services is offering a hands-on workshop to introduce students, faculty, and staff to Pressbooks, a free, easy, and elegant self-publishing platform that anyone can use to create a digital book (or any other online resource) in minutes. This workshop is offered as part of the Library’s ongoing efforts to support and promote the creation and use of open and affordable course materials on campus (read more about our course affordability pilot programs, events, and workshops). Do you have material you’ve been wanting to publish online, but aren’t sure how to get started or what tool to use? Come to our workshop to see Pressbooks in action and start working on your own project. By the end of the workshop, you can have a beautiful book published online! Working on a non-book project? You can also use Pressbooks to publish a chapter, white paper, toolkit, or other online resource. Pressbooks is simple to use and infinitely flexible for a variety of projects, from creating a course textbook to publishing your own chapter- or module-length work. Quickly becoming the preferred tool for educators and writers publishing open books and other content, Pressbooks offers numerous features to support open access and accessibility. Easy to use. No design or developer skills required. If you’ve ever used WordPress, you’ll feel right at home. Professional design. Choose from dozens of templates and themes that create professional-looking and customizable digital books. Immediate and continuous publishing. Publish in minutes, and make changes or edits easily as you go. Flexible licensing. License your work with any number of Creative Commons options. You can use the same license for the whole work or apply different licenses for different chapters or sections. Accessibility. Pressbooks features and outputs are designed to support accessibility. Pressbooks is committed to making its code and user interface comply with WCAG 2.0 (level AA) standards within 2018, and it is developing tools to help authors maximize the accessibility of published work. Collaboration. Give a co-author access to your project, and use Hypothes.is to add or enable annotations. Free! Anyone can create an account at no charge. Come to the workshop on February 20 to try out this innovative platform and kickstart your digital project. In the meantime, if you’re curious about what Pressbooks publications look like, or what else the platform can do, check out how other institutions are using Pressbooks, browse the book examples created at eCampusOntario, and see an open module recently published at UC Berkeley. The Library will also soon have a campus portal just for UC Berkeley-affiliated books, where you can showcase your work and view others’ projects. For more information, email schol-comm@berkeley.edu. Note: This commentary is being cross-posted on the Center for Teaching & Learning’s blog. 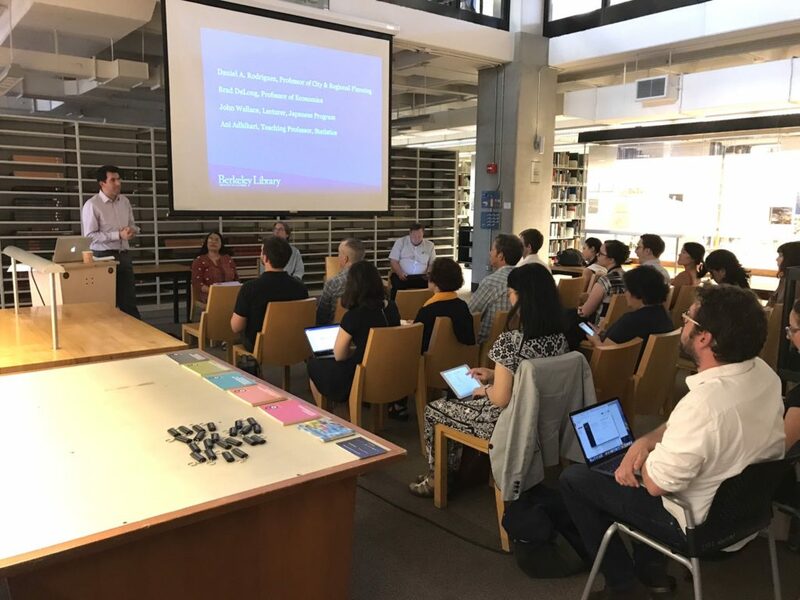 On October 27, 2017, UC Berkeley faculty and lecturers convened to share how they are making textbooks available for free to students—and how they are designing more accessible and transformative learning materials in the process. In this post, we pass along key takeaways from the stories they shared, in the hope that you may consider implementing similar cost-saving options for students. We also consider why the UC Berkeley campus has come together at this critical moment to address such issues. This is the first of a series of posts we’ll be doing this semester to dig into the “how” of improving students’ quality of living through affordable and accessible course content. Before we dive into the lessons gleaned at the October event, campus context behind faculty members’ efforts might help. Textbook prices have risen 88 percent in the past decade, as detailed in a 2016 Bureau of Labor Statistics report. With UC Berkeley undergrads expected to pay at least $900 (a low estimate) on books and materials each academic year, students are financially encumbered to obtain required readings. The campus is conducting a survey to understand the true impact of these expenses for students—including how textbook costs affect whether students take, remain in, and succeed in their classes. One way to alleviate financial burden for students is by offering them free, digital versions of their assigned readings that can be accessed online or downloaded to electronic devices. For course readers, this might mean uploading materials to the class bCourse site under fair use principles, and for textbooks, this might mean switching to “open textbooks.” Open textbooks (also called “open educational resources” or OERs) are entirely free for anyone to access, read, and download, and are typically licensed for reuse by others to encourage further downstream adaptation and development. Many instructors and students prefer hard copies, and so open textbooks can often be ordered as “print on demand” for a nominal printing fee, or students can print them out themselves. In the studies to date on open textbook impact, students who have been given access to open textbooks perform at least as well, and often better, than those without open textbooks. This is likely because the playing field is leveled: Everyone in class has access to the readings from day one, and they’re not beyond anyone’s financial reach. There are several other key advantages to offering parallel access to digital books: Digital native texts are inherently more accessible to students with disabilities. Screen readers and assistive technologies fare much better working with born digital materials rather than print copies that have been scanned in and converted into optical text (not to mention the potential access delay involved in remediating print content). Digital materials are generally also text searchable, so that students can easily find concepts or passages within their readings. Seeking to address both affordability and accessibility concerns, in 2017, the Office of the Vice Chancellor for Undergraduate Education (VCUE) charged a campus-wide Course Content Affordability & Accessibility Committee (CCAAC) to identify strategies to educate the campus about the costs of course content, and encourage practices that lower costs for students while also making materials more accessible. CCAAC’s report and recommendations are forthcoming in Spring 2018. An analogous campus partnership has also been very busy: The University Library, Center for Teaching and Learning (CTL), and Educational Technology Services (ETS) teamed up and obtained a VCUE and Library-endorsed charter to test services aimed at students course content burdens. Through our Affordable Course Content Pilot program, we have incentivized both adoption and creation of open textbooks. Our idea was simple: What if we offered $2000-$5000 grants for faculty and lecturers to switch to an open textbook, or create their own? We would provide the needed digital publishing and programmatic support to facilitate the transition, and the instructors would use or create something new that was open—and free—to all. Now, however, we’d like to consider the salient lessons discerned from these faculty members’ experiences in creating open textbooks for the pilot. On October 27, 2017 pilot program participants Brad DeLong and John Wallace were joined by Ani Adhikari (whose Data 8 open textbook has already been in use for several years) in speaking to a rapt crowd about why they chose to create open textbooks, and what they have learned in the process. We have taken the liberty of distilling their guidance. 1. If you create an open textbook, you have tremendous flexibility and complete control over what your students see, and when they see it. Wallace observed that, although his book on East Asian literature and film will be deployed in Spring 2018, it will remain a work in progress. The beauty of writing and managing one’s own digital material is that changes (and typo fixes!) can be made in real time, without having to wait until your publisher decides to release a new edition. Wallace is utilizing Pressbooks.com to administer his material, and he can log in and change whatever he wants, whenever he wants—sharing his creative product in stages or in full, at his election. This level of control also offers topical benefits. DeLong and Olney are converting their Macroeconomics print textbook into an open textbook, with interactive data for students to play with as they experiment with formulae and economic theories. To provide meaningful, real world information, DeLong and Olney need to be able to update and adjust content regularly. Because they are in complete command over the Jupyter Notebook which they use to manage their content, they can incorporate current economic events and statistics in real time, or keep it current on a semester-by-semester basis. 2. 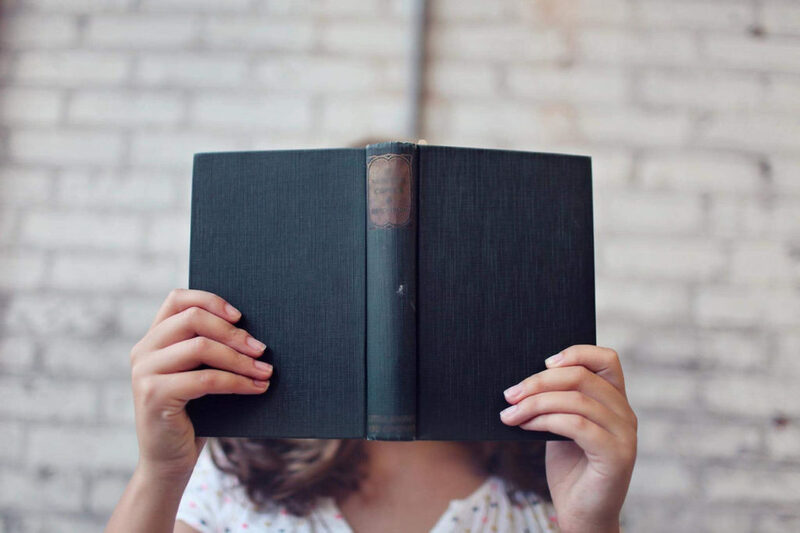 Creating your own open book allows you to choose your voice and write to connect with your students—and in so doing, capitalize on intellectual freedom as you forge and sculpt your discipline. As you branch off into new knowledge areas, disciplines can be redeveloped into what you make them. Writing your own open textbook is a tremendous amount of work, but it can also offer tremendous intellectual freedom. 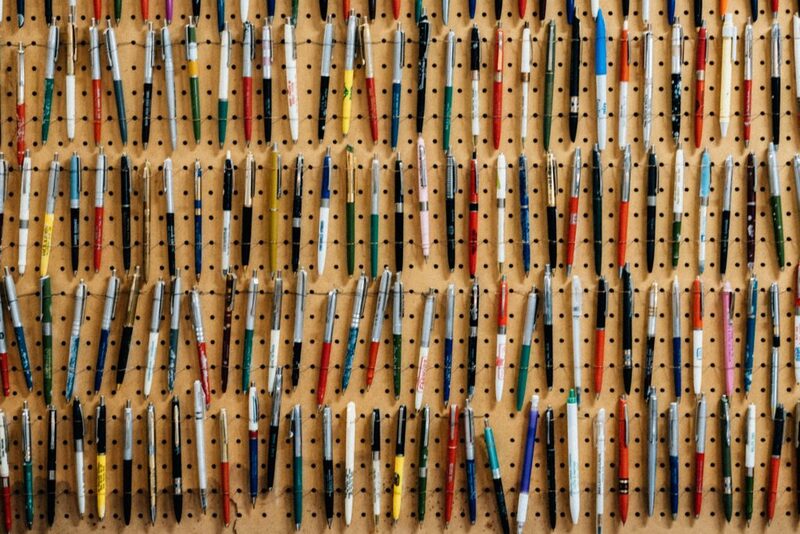 Wallace, DeLong, and Adhikari each exclaimed the benefits of being able to write in a tone and on issues directed to their students—using language and content that may not have survived traditional textbook editing processes. The value is that the written material has the potential for resonating more meaningfully with students. One of the earliest examples of astute observation eventually leading to the establishment of causality dates back more than 150 years. To get your mind into the right timeframe, try to imagine London in the 1850’s. It was the world’s wealthiest city but many of its people were desperately poor. Charles Dickens, then at the height of his fame, was writing about their plight. Disease was rife in the poorer parts of the city, and cholera was among the most feared. It was not yet known that germs cause disease; the leading theory was that “miasmas” were the main culprit. Miasmas manifested themselves as bad smells, and were thought to be invisible poisonous particles arising out of decaying matter. Parts of London did smell very bad, especially in hot weather. To protect themselves against infection, those who could afford to held sweet-smelling things to their noses. From reading even just this brief excerpt, it is hard to imagine traditional textbooks so compellingly establishing an argument, or traditional textbook authors maintaining enough editorial control over their work to ensure that these points are included exactly as intended. 3. Digital editions provide valuable portability for students, while preserving print on demand options. Adhikari and DeLong also addressed portability benefits of open textbooks. UC Berkeley students are incredibly engaged academically, and as a result, under considerable competing demands on their time. 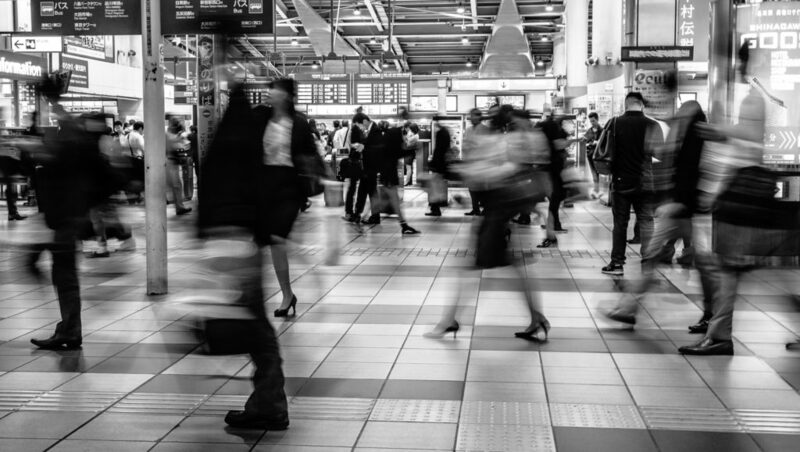 It is not uncommon to see students working on portable devices on public transportation or at the gym, just to make the most of any spare moments they have. In survey responses by students whose classes participated in our pilot program, students near universally described how having online access to, or being able to digitally download, their reading materials improved their learning experience. Not only could they take their readings everywhere (and we mean everywhere! ), but also they did not have to lug around numerous heavy books. Many also remarked that they valued not having to “waste paper” and harm the environment. Students knew that printing out the materials was an option, though few reported having chosen to do so—actually preferring the electronic format. 4. You can create an open module or two to fill in the gaps, rather than requiring students to purchase an entire textbook just for a few sections. 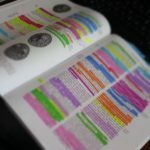 Let’s say you have found the perfect textbook for about 80% of your course, but it lacks two or three topics that you cover in class, and for which you assign a separate book entirely. There may be no need to reinvent the wheel in designing an entire textbook from scratch, but perhaps you could create just what you need to fill in the gaps rather than recommending a second book for purchase. This is precisely what Horst Rademacher of the Berkeley Seismology Lab, did for EPS20 (Earthquakes in Your Backyard). As part of the pilot program, Rademacher created on open module through Pressbooks.com to address one topic: The Hayward Fault at the UC Berkeley campus. Doing so was not only a more reasonable time investment, but also a very efficient way of making sure students had tailor-made access to the specific content they would need for class. 5. If you collocate all digital readings and assignment submissions, it can be easier for graduate student instructors to complete grading, and focus more on pedagogy. Generating efficiencies in one area necessarily creates opportunities in another. In this case, GSI’s, and instructors alike, can more easily move between and through grading of student work (particularly if coupled with other campus-licensed tools like GradeScope). The ability to centrally locate, quickly navigate, and reliably assess student work can considerably reduce time spent on the logistical aspects of grading. The extra time that was once necessary for grading logistics, can now be better utilized in service of pedagogy and student learning. Faculty discussed greater time available to improve their course materials, implement new pedagogies, or even supplement learning through more formative approaches that were very challenging previously due to time constraints. 6. Open textbooks have the potential to save UC Berkeley students hundreds of thousands of dollars a year, while making access to higher education learning materials more equitable in your class and beyond. In DeLong’s own words, his forthcoming Macroeconomics textbook can “go big or go home,” and he’s banking on “big.” There are four sections of macroeconomics are taught each year on our campus, with approximately 1000 students. If each of the class sections adopted the DeLong-Olney open textbook rather than the $200 print equivalent, UC Berkeley macroeconomics students could save up to $200,000 each year. Of course, macroeconomics is a staple at institutions across the nation and world. DeLong and Olney are enabling thousands upon thousands of students globally to have access to extremely high quality instructional materials—potentially saving students millions every year. The financial impact that open textbooks can have is quantifiable, and it’s huge. Financial impact is but one piece of the equitability puzzle. Both DeLong and Adhikari discussed open textbooks’ ability to promote social justice in the classroom, and the sense of obligation they feel as faculty members in doing as much as they can to ensure that all of their students have equal opportunities to succeed. If you would like to explore the possibility of adopting or creating an open textbook for your class, we would love to meet with you! Limited numbers of $2000-$5000 grants remain available. Please contact schol-comm@berkeley.edu, or visit the Scholarly Communication Website (lib.berkeley.edu/scholcomm) to learn more. And if you are interested in CCAAC and the pilot team’s report and findings about course content affordability at the UC Berkeley campus, please stay tuned to posts distributed through the Center for Teaching and Learning and the Library’s Scholarly Communication program’s Twitter account, @UCB_scholcomm. Concerned about the impact of high textbook and course reader costs on students? Interested in discovering pedagogically rich and innovative solutions? Consider attending the below workshops to understand the landscape for rising course content expenses, and what you can do to both lower students’ expenditures and improve their educational experience. If you have any questions, please feel free to contact schol-comm@berkeley.edu. We hope to see you there! Do you wonder how to make your assigned readings more affordable, and how much time and effort you’d need to invest? The University Library and Center for Teaching and Learning have partnered in an innovative pilot program to reduce course content expenses and incentivize the creation of high quality, free, and open course materials. In this panel event, you’ll hear from participating faculty and lecturers who will discuss their experiences and provide practical tips from the leading edge of course content affordability. Refreshments will be provided. Are you a UC Berkeley staff or affiliate who is concerned about the impact of high textbook costs on students, or you are working with a faculty member who is? Do you want to support the adoption or creation of innovative pedagogical materials? Learn the landscape, opportunities, and challenges for adopting and creating open textbooks, and how to discuss whether open textbooks are a good fit. Open Access connects your scholarship to the world, and helps you gain global readership. For the week of Oct. 23-27, the UC Berkeley Library is highlighting these connections. You can attend five exciting workshops and panels that bridge real-world scholarly publishing skills with the connectedness that open access offers. Open Access (OA) is the free, immediate, online availability of scholarship. Often, OA scholarship is also free of accompanying copyright or licensing reuse restrictions, promoting further innovation. OA removes barriers between readers and scholarly publications—connecting readers to information, and scholars to emerging scholarship and other authors with whom they can collaborate, or whose work they can test, innovate with, and expand upon. OA Week 2017 is a global effort to bring attention to the connections that OA makes possible. At UC Berkeley, the University Library—with participation from partners like the Graduate Division, California Digital Library, Center for Teaching & Learning and more—has put together engaging programming demonstrating OA’s connections in action. We hope to see you at the events, where you can continue to build your scholarly publishing skills. Refreshments provided at all events, and attendance enters you into raffle for prizes! To find out more about each event, please visit our Scholarly Communication Events page. Questions? E-mail schol-comm@berkeley.edu, or check out our Scholarly Communication Services website.